Russian President Vladimir Putin on Tuesday put forward an ambitious program to secure Russia's foothold in the Arctic, including efforts to build new ports and other infrastructure facilities and expand an icebreaker fleet. He said that the amount of cargo carried across the shipping lane is set to increase from 20 million tonnes last year to 80 million tonnes in 2025. "This is a realistic, well-calculated and concrete task," Putin said. "Now and then I hear the Arctic described as a geopolitical hot spot," she said. "This is not how we see it. 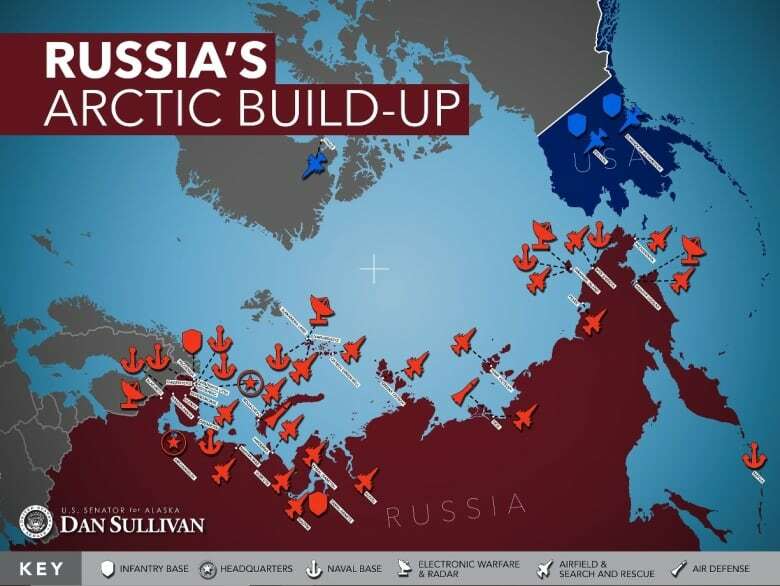 We know the Arctic as a region of peace and stability." She noted that "this should not be taken for granted," adding "it is the result of political decisions and practical co-operation between the Arctic states." "Respect for international law and regional co-operation are keys to ensuring peace and stability across borders," Solberg said. "We ensure the necessary defence capability in view of the military-political situation near our borders," Lavrov said, noting that a recent NATO exercise in Norway was openly directed against Russia. Russia's relations with the U.S. and other NATO allies have plummeted to post-Cold War lows over the Ukrainian crisis, the war in Syria, Moscow's meddling in the 2016 U.S. presidential election and other issues. Putin used the forum to criticize U.S. and EU sanctions against Russia over its action in Ukraine, but emphasized that they wouldn't hamper the country's plans to expand its presence in the Arctic.